The top YAIAA golfers of the 2015 season, as selected by the GameTimePA.com staff. Julianne Lee, Central York, so. Just a sophomore, Lee burst onto the scene with a solid season in Central's stacked lineup. She earned gold medals at the YAIAA and District 3 Class AAA tournament and finished 13th in states. Alexandra Lowder, Eastern York, jr.
Eastern's top female golfer, Lowder proved to be one of the best golfers in the league. She came in second in the league tournament and seventh at districts. Kevin Crumbling, Eastern York, sr.
Crumbling was a steady force in Eastern York's lineup, finishing 13th in the District 3 Class AAA tournament and 15th at states. Andrew Davis, Eastern York, sr.
Davis nearly came away with a gold medal at districts if not for a late surge by Minkin. He turned in a solid performance at regionals to qualify for states, where he finished 24th. Andrew Forjan, York Catholic, jr.
Forjan was the go-to guy for the Fighting Irish, who finished third in the District 3 Class AA team tournament. Forjan finished second in the individual district tournament. Gus Minkin, Central York, sr.
What a year it was for the Panthers senior. Minkin won gold in the league tournament, districts and regionals before finishing fifth at states. He'll take his golf talents to the University of Minnesota next season. Joe Parrini, Central York, so. Parrini fit into Central's lineup nicely after transferring from York Catholic. The sophomore qualified for states, where he finished ninth. The veteran head coach led a talented group of Panthers to an impressive postseason run in 2015. His lineup, which was the best in the league, got better as the year progressed, evidenced by Gus Minkin's league, district and regional gold medals and Julianne Lee's district gold. Central York: Connor Bacha and Matt Bricker. Dallastown: Blake Sebring. Eastern York: Zach Dixon. New Oxford: Justin Gruver. Spring Grove: Eli Brooks. Susquehannock: Kendel Abrams. 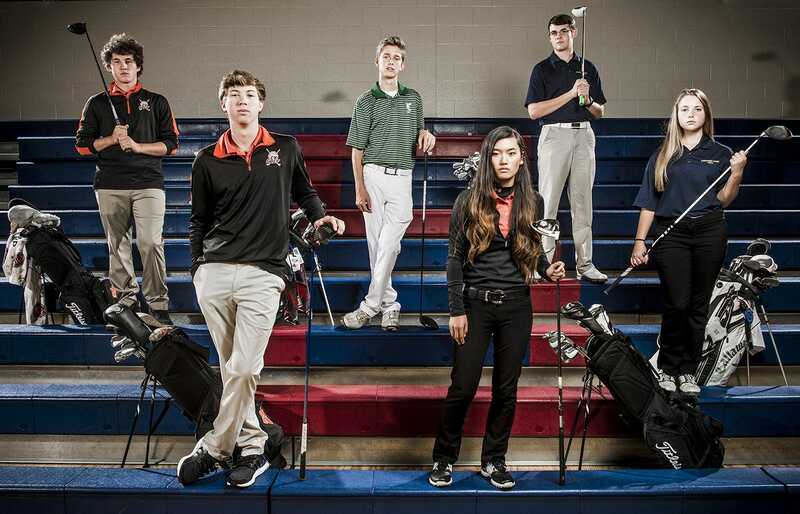 Rapid-fire questions with GameTimePA's golf all-star team. In the York Daily Record Dec. 14; in The Evening Sun on Dec. Dec. 17.